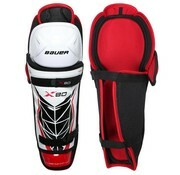 The Bauer Vapor X80 Shin Guards offer a solid level of protection at a great price. 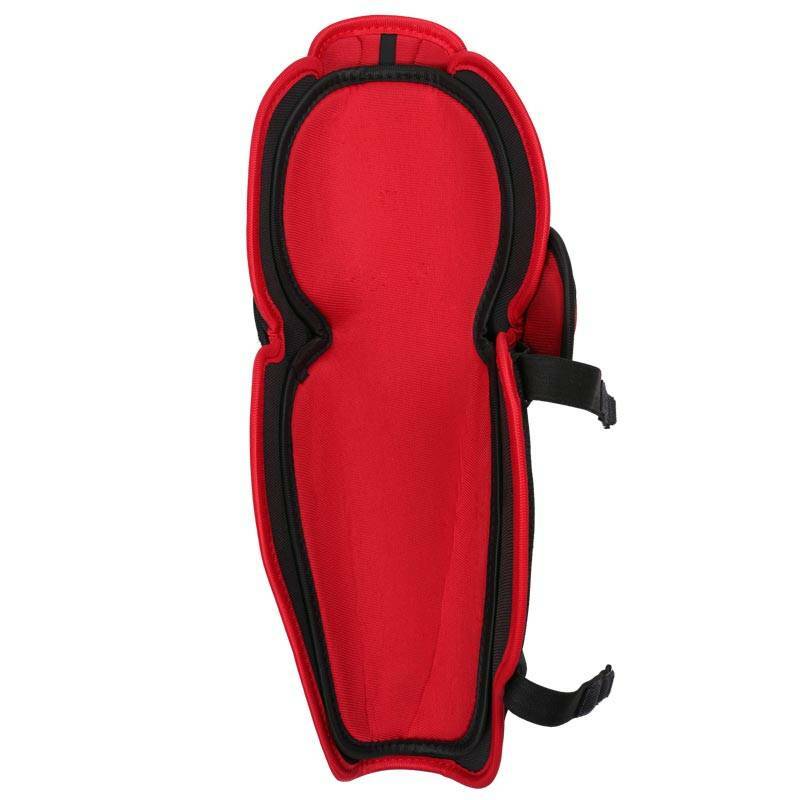 The tapered fit gives you good room in the knee that slims down in the shin for good mobility. 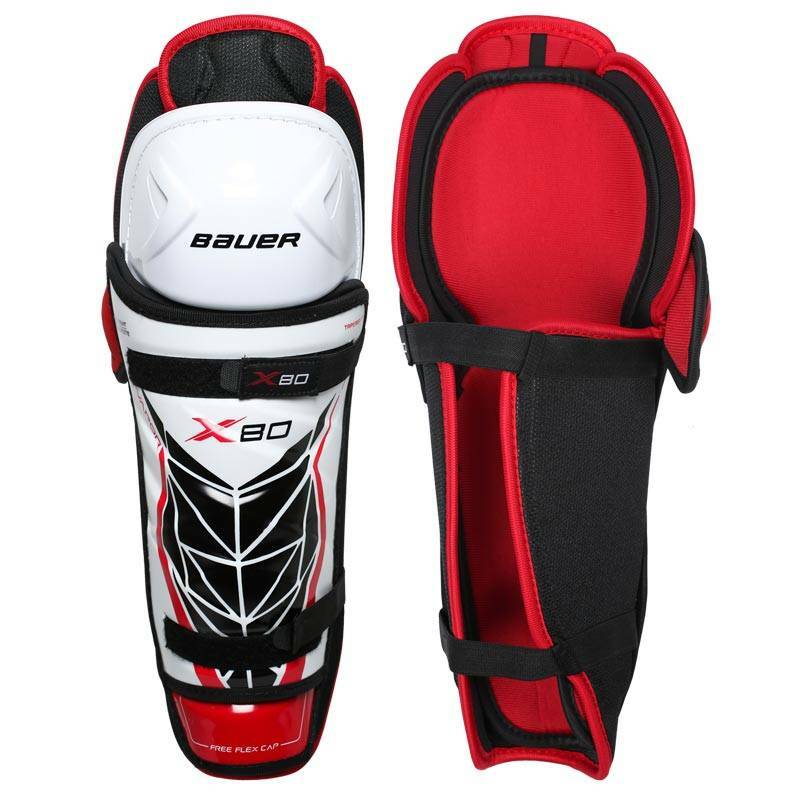 The X80s are composed of thicker medium density foams in the calf and shin to really improve on the protection of the shin guard while still maintaining a lightweight feel. 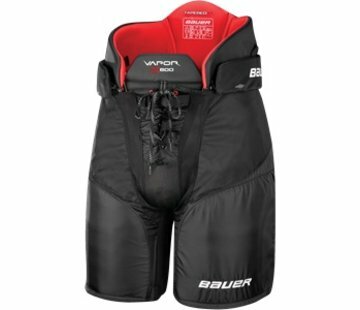 The removable foam liner speeds up drying time and gives you a custom fit. 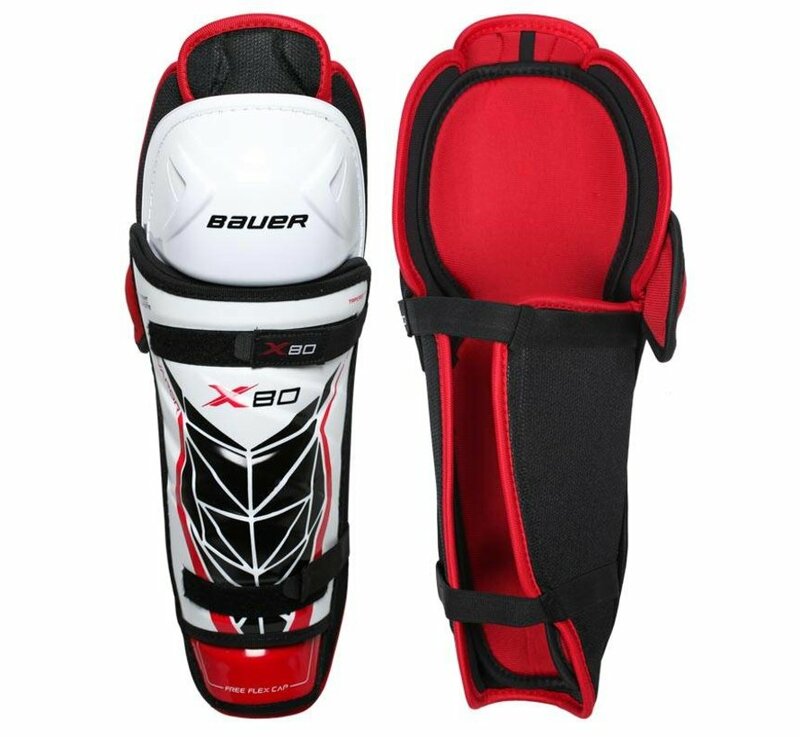 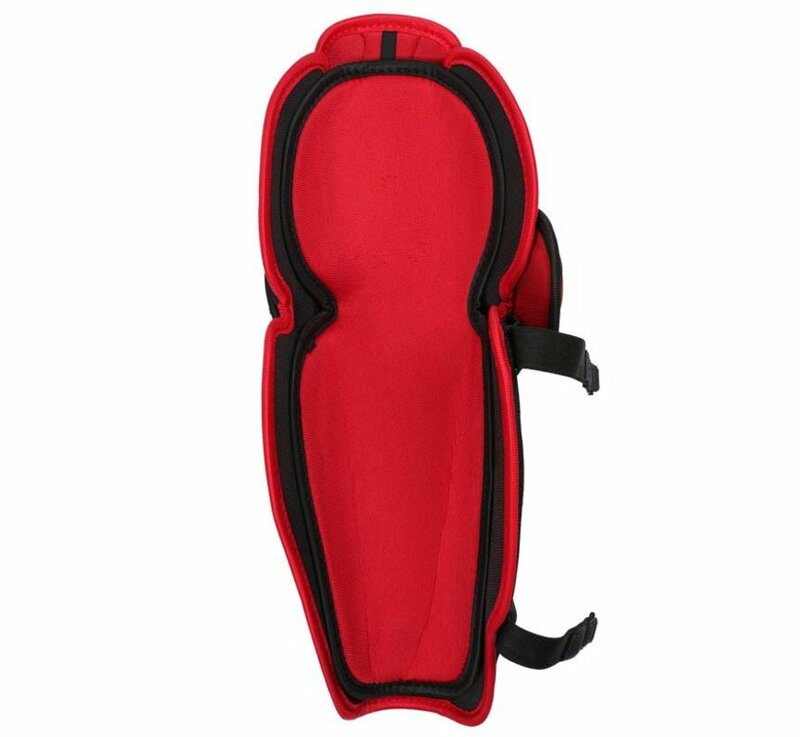 These shin guards also feature Free Flex technology, which is an independent piece on the bottom of the shin that rotates depending on your stance to enhance mobility.